The Most FUN and Unique Round Squishable Pilow Animals! Huge, Huggable and FUN Round Squishable Pillow Animals Make the World a Better Place! Have you ever hugged a cuddly, colorful, unique and very ROUND Squishable? They are the most fun stuffed pillow animals on the planet! I have started my own collection of these amazing round plush animals and I already have two! There are dozens to choose from in all animals! They make awesome gift ideas for anyone at any age! They will put a huge smile on your face right away, I promise! My Favorite Squishable Round Monster! I am going to start my selection of fun round pillow animals with the Worrible! 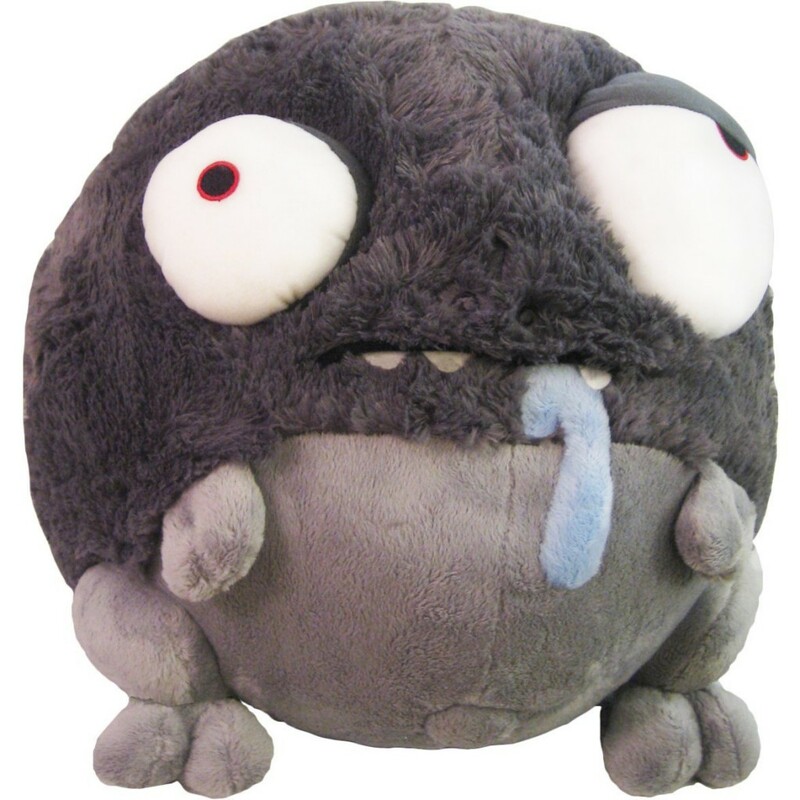 He is the cutest (and saddest) Squishable stuffed monster! I got one for my sister and one for myself! He sits on my sofa and no one can resist him! As soon as guests arrive the first thing they do is hug him! She loved it and she said it helped her tremendously! The Cutest Squishable Round Pillow Animals! I also bought this cute and super fun blue Squishable jelly fish for myself and I gotta tell you he makes an awesome leg rest! I put him on my bed and I use him to put my feet up when my legs are tired! I love his cute and cheerful jellyfish face! He is a happy fellow! Needless to say he will make a wonderful gift idea too! 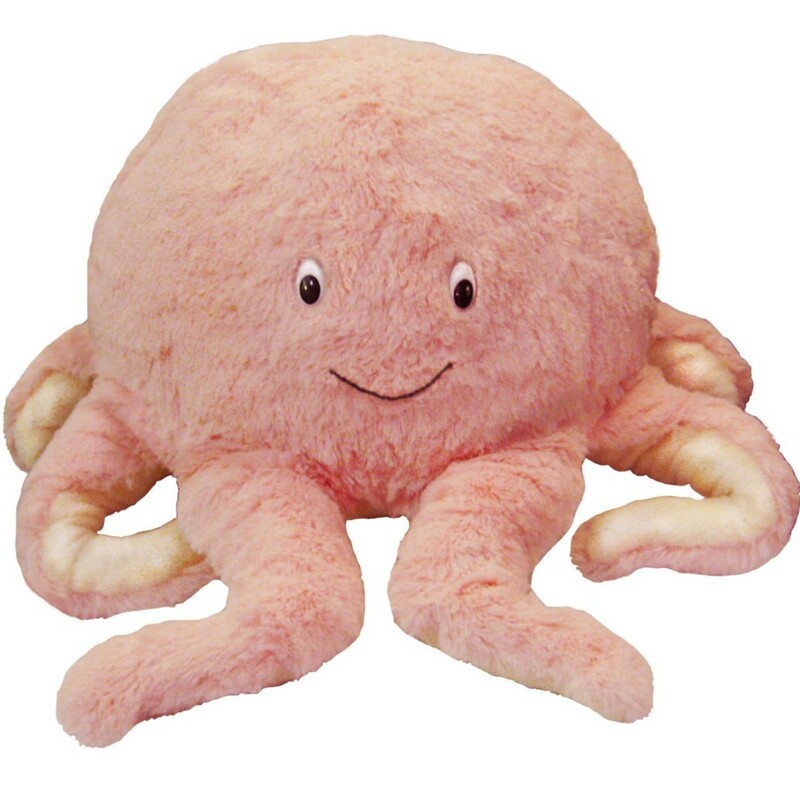 I also LOVE this huge and very pink Squishable stuffed octopus! He is definitely next on my collection! He is perfect to have on your bed or couch! I also love his cute and happy ‘octopus’ face! So, who’s getting a fun plush octopus from you today? 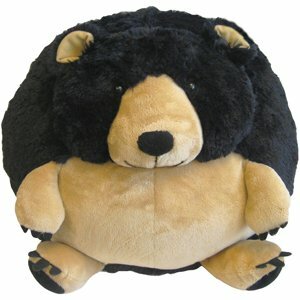 The Most Unique Squishable Round Pillow Animals for Sale! 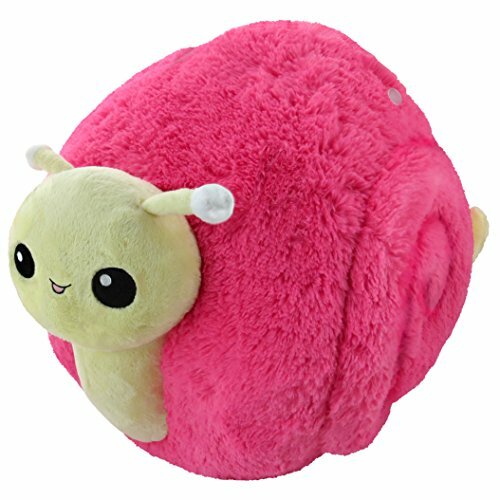 Meet this adorable pink snail Squishable! Don’t you feel like hugging her right away? I bet you have never seen a plush pufferfish before have you? 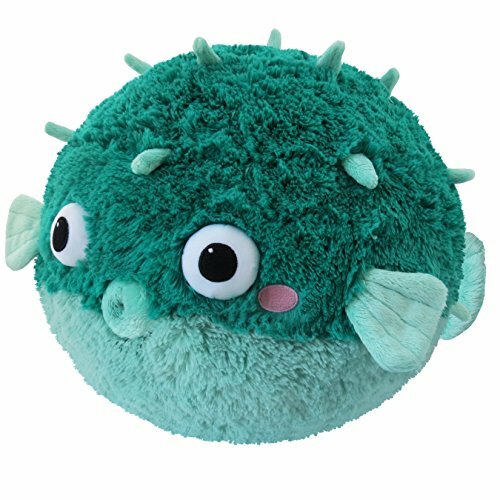 How about a huge and very round and colorful Squishable pufferfish? Can you imagine going on a trip and taking this huge pufferfish stuffed animal with you on the plane? How many people do you think are going to turn their heads and eyes your way? This is a first for me too! 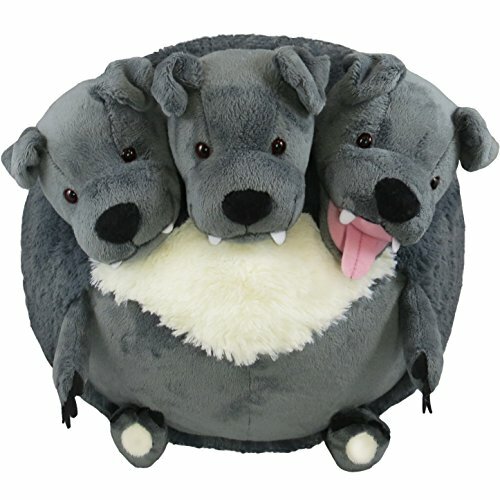 I had never seen this Squishable plush cerberus before! It’s almost impossible to choose only one right? That’s why I started a collection! I want to have at least 10 or 12 of these fun and unique Squishables! 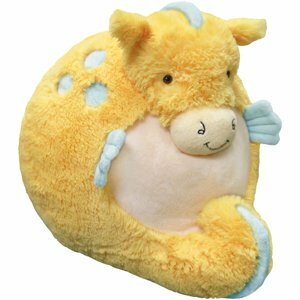 How cute and very unique is this yellow seahorse Squishable plush animal? Cute Squishable 15″ Manatee Round Pillow Animal! 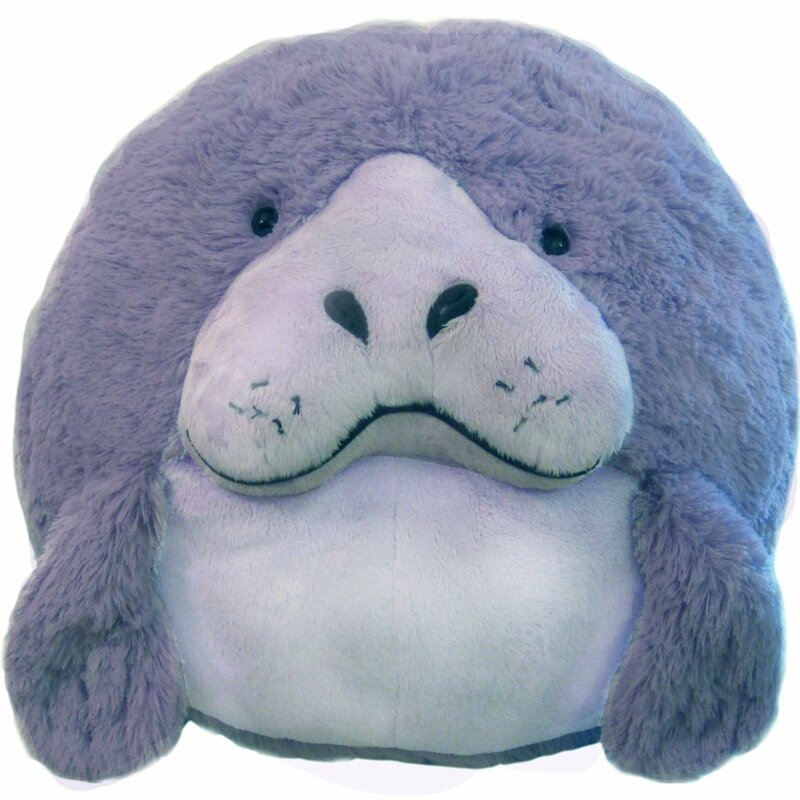 Then get this ultra-cute, soft and very huggable Squishable manatee pillow animal for you! Look at that adorable manatee face! Happy buyers say he is so soft, so cuddly and so huggable, that they don’t even need a real person to hug! It’s a RAINBOW Octopus Plush Animal! 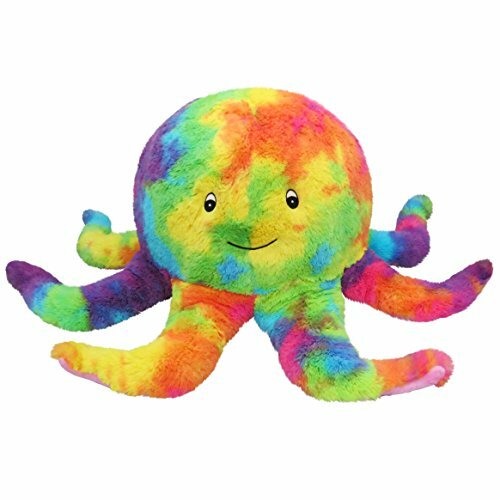 Look at that cute and happy Squishable rainbow colors plush octopus! What a fun pillow animal for your growing collection! He is also perfect for a cute sea-themed colorful nursery room! 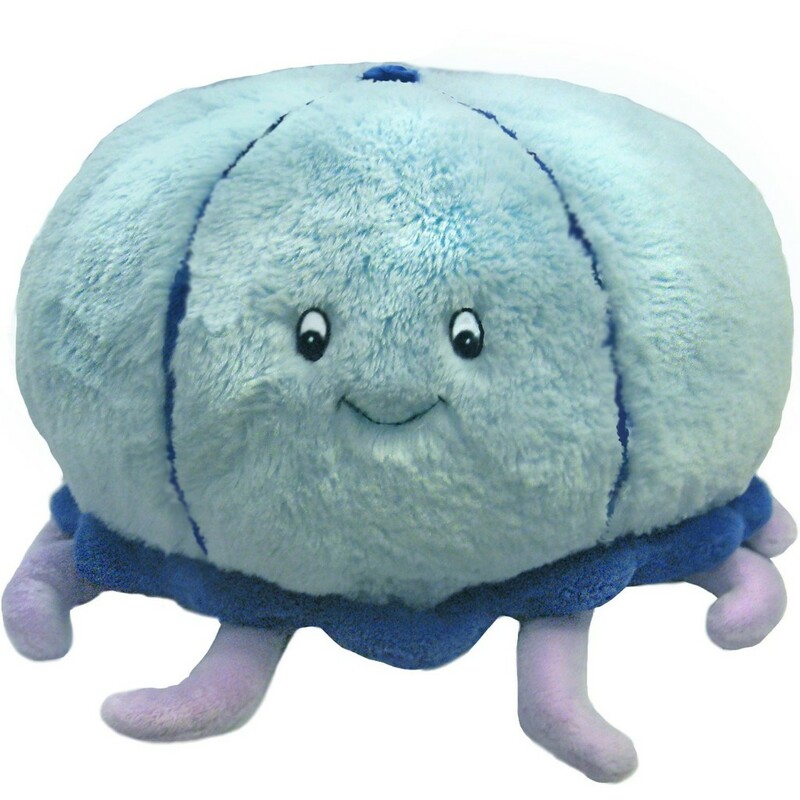 There is a Squishable for you too! This is a fun and fierce red fire dragon plush animal! 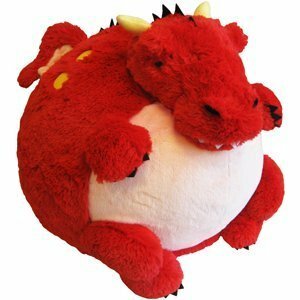 The Most Fun Round Pillow Animals for Sale! 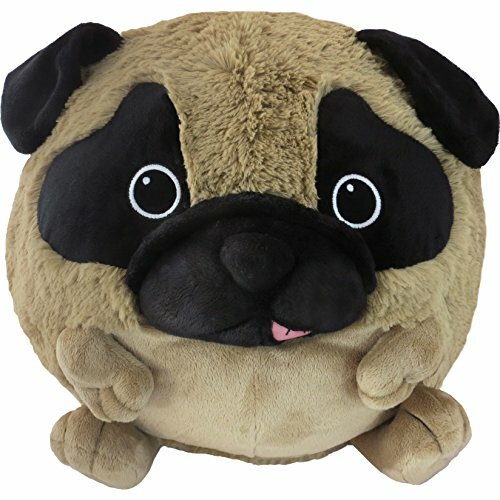 Check out this cute and also very unique cool Squishable round plush pug dog for sale! He looks like a very happy pug though! I’m sure he won’t attack you! He is going to look great on your sofa too! Large and Cuddly Round Pillow Animals! Then this is your Squishable! 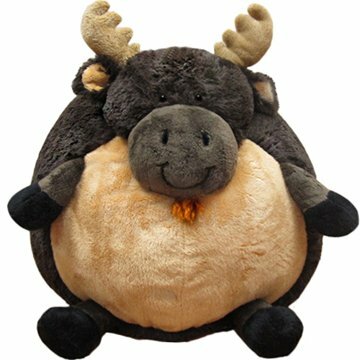 He is a very cute, very large and very round, cuddly plush moose! Perfect to use as a cozy pillow when watching a movie on the couch! So, how’s your Squishable pillow animal collection going? I just came across this gorgeous and very cuddly Squishable round black bear! Even better than a regular teddy bear!